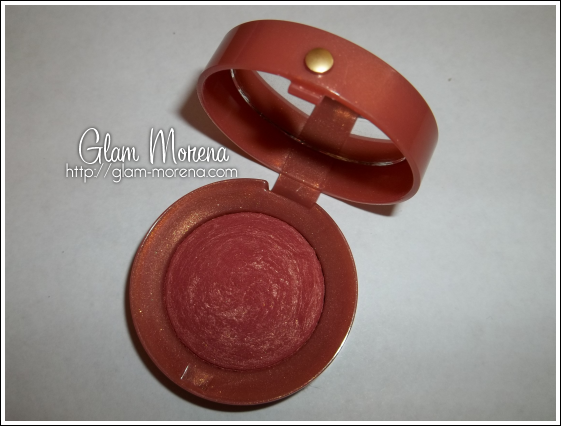 Glam Morena: Review: Bourjois Little Round Pot Blush. 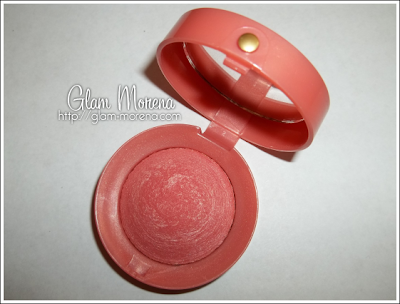 Review: Bourjois Little Round Pot Blush. I have a review on Bourjois Little Round Pot Blush. I purchased these from Asos.com for a little over $3.00 and this was during a sale. I only ordered three of the blushes because that's all that was available at the time. Description: The baked texture transforms when applied to the skin into a light ultra-fine pressed powder, which is easy to apply and blends impeccably. One stroke of the brush reveals the irresistible aroma of rose scented powder. 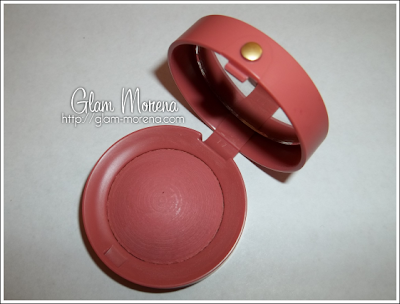 Packaging: The package is exactly what the name is which is a little, round pot blush. Once opened you are able to see the brush and mirror that's included. The brush is useless and I tossed mine out. The outer packaging allows you to differentiate which blushes are matte or shimmer. It comes with 2.5g worth of product. One thing I found that I disliked about the packaging was the opening process. Sometimes I had trouble opening the blush and my nail would end up digging into the blush. That's the only major downside that I found with the blush. 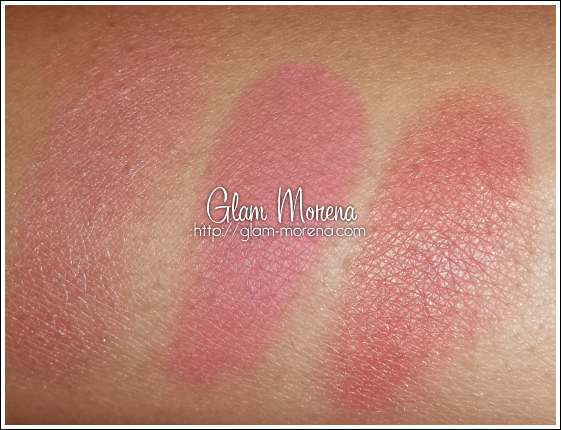 Quality: Bourjois blushes have AMAZING quality! If I had to compare the quality to a higher end blush it would be NARS powder blushes. If you're a NARS blush user then you know NARS has some the best quality blushes out there. The color payoff and pigmentation is excellent. 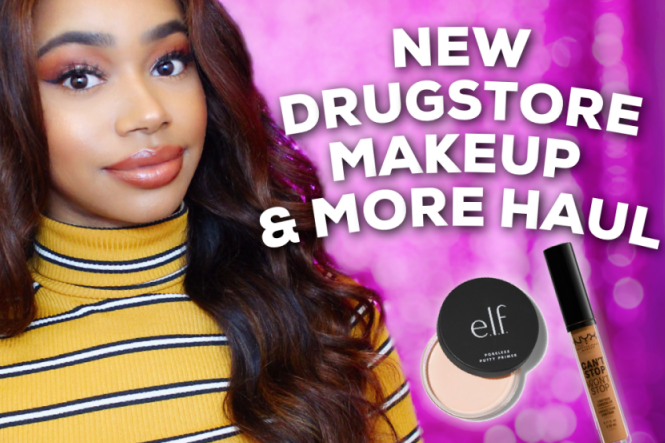 The product is really smooth and not powdery at all. As mentioned above in the description there is indeed a scent to the blushes. It's a floral scent that isn't loud, but it's definitely noticeable upon opening. So if your skin is easily irritated by fragrance then you may want to pass on these blushes. Availablity: My main issue is finding this brand in the U.S. because I haven't seen many stores that actually carry the brand. Sephora discontinued the brand from the store a few years ago. The only place I can suggest is Ulta stores. 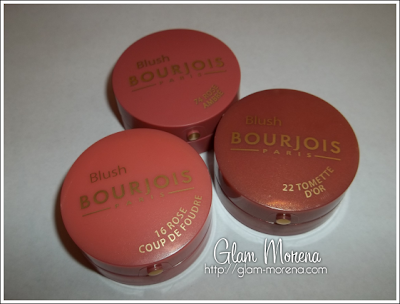 Now on to swatches of the Bourjois Little Round Pot Blushes. Photo taken with flash on. Depsite the not so great packaging I recommend these 100%! 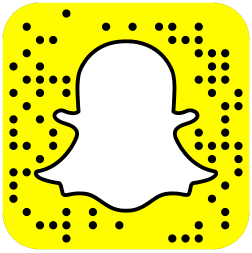 Have you tried out any products by Bourjois? Rose Coup De Foundre is gorgeous, I own no Bourjois but I've always heard good things about the brand. I've never tried NARS blushes before but I think I'd rather try Bourjois Little Round Pots first. The packaging for the Bourjois blushes look like they won't get as dirty as quickly as the NARS blushes do. A little over 3 bucks? Omg that's so cheap and the colors are so pretty! Wow, it sounds like you got them at a steal for $3. I've seen these around but I've never tried them because I always thought they wouldn't be very pigmented because they're baked. oh, those are super pretty!! 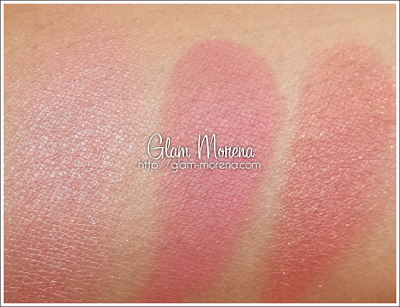 Have you tried the milani baked blushes yet?